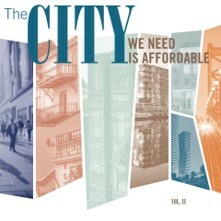 Continuing the successful series of books highlighting solutions for the global affordable housing crisis, FIABCI, the International Real Estate Federation, debuted “The City We Need is Affordable Vol III” at the UN High Level Political Forum in New York on July 10. Featuring the need for culture and inclusion, as well as policy and construction innovations, the publication showcases affordable and workforce housing developments from around the world. The book is the third in a series of publications resulting from FIABCI’s partnership with the UN-Habitat World Urban Campaign. FIABCI hosted a parallel event during the UN meetings focusing on UN Sustainable Development Goal 11, which sites cities as the drivers of change and the nexus of creating inclusive, safe, resilient and sustainable communities. “With our growing population and rising land values, creativity and innovation are needed to generate business opportunities that incentivize developers to build quality, affordable housing that support a sense of community,” noted FIABCI World President Assen Makedonov. Cento Cultural Universitario, University of Guadalajara, Mexico, a novel cultural/education project that includes federal housing loans and subsidies to support affordable housing in the area. Sound Diplomacy, an organization that promotes the value of a music ecosystem to deliver measurable economic and social benefits such as Telliskivi Creative City, Tallinn, Estonia. Haleola’ili’āinapono (the Living Building Challenge), Bowers + Kubota, a house built with 75 percent of the materials extracted exclusively from Hawaii’s reclaimed regional construction waste streams. Urban Deca Homes, Mandaluyong City, the Philippines, housing units constructed in just eight to ten days using precast concrete. Frost Street Apartments, Dunn Development, New York, eight apartments set aside to provide independent living for adults with developmental disabilities and 5 percent of the units preadapted to be handicapped accessible. The 2018 edition was sponsored by SamKoo Pacific, SamKoo Hawaii and Global Housing Foundation. Two previous volumes, in 2017 and 2016 were sponsored by The Dubai Real Estate Institute and Lennar (2016) and Treasure Dragon Corp. and Hsin-Yeh Construction of Taiwan (2017). The genesis of “The City We Need” publications was FIABCI’s participation in the UN’s Conference on Housing and Sustainable Urban Development (Habitat III), held in Quito, Ecuador in 2016. 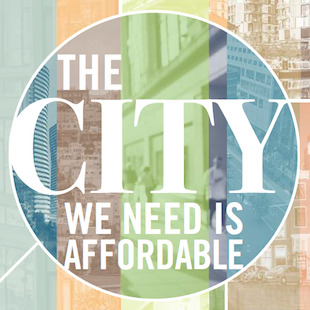 FIABCI — an official partner of UN-Habitat’s World Urban Campaign and “The City We Need” program — invited submissions for FIABCI's “The City We Need is Affordable” competition, which focused on identifying and sharing global solutions for affordable housing. The competition brought to light many strong solutions to quickly, efficiently and sustainably increase the world’s supply of affordable/workforce housing. FIABCI compiled these solutions into a book, which became the center-piece of a parallel event at Habitat III — providing an opportunity to begin implementing Habitat’s New Urban Agenda and benefit from the momentum created by the conference. 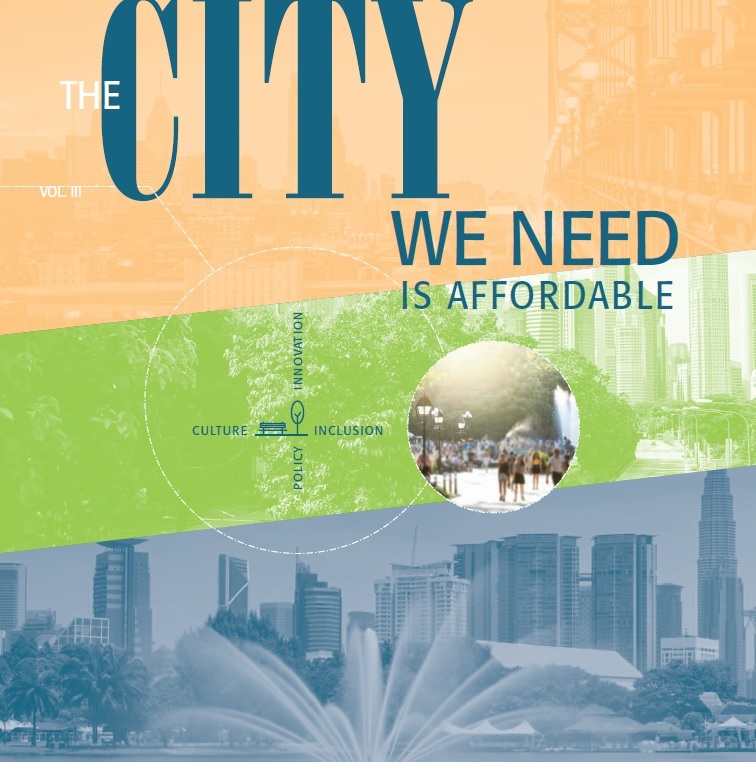 Volume II of “The City We Need is Affordable” was prepared for publication in view of the ninth session of the World Urban Forum, held in Kuala Lumpur in February 2018. It featured successful large-scale affordable housing development projects from every region in the world. Volume II officially debuted at FIABCI’s Global Real Estate Summit in Athens in December 2017.